CARIO, May 1, 2014 - A visitor takes photo inside the facsimile of Tutankhamen Tomb, in Luxor, southern touristic city of Egypt, April 30, 2014. The newly opened touristic site on Thursday welcomed its first group of visitors, as one of projects on encouraging tourism. 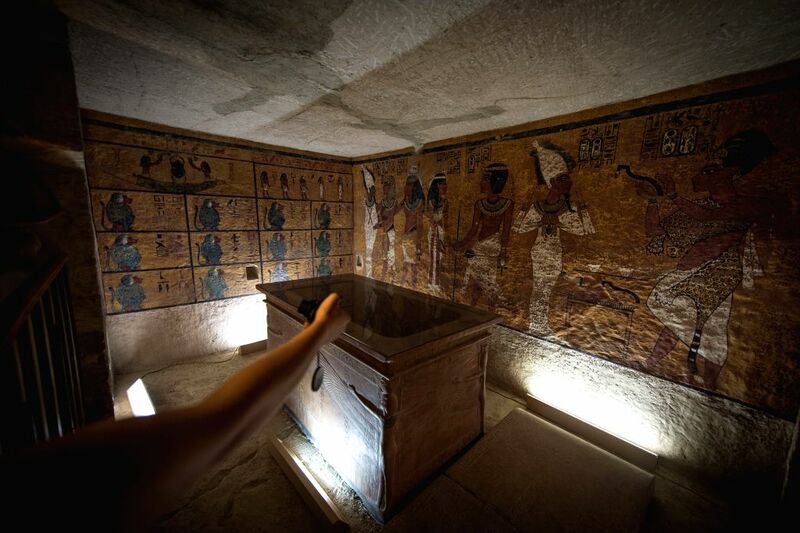 The original Tutankhamen Tomb was discovered in 1922 and was closed for conservation reasons since 2011 till now.